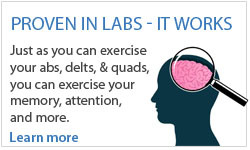 We are passionate about health and new forms of cognitive training with a set focus on educating the public on brain training and the vital importance of improving brain fitness as part of a balanced, healthy lifestyle. This passion is driven by our belief in continuous learning, which is the key motivating force underlying the science of neuroplasticity. Our culture thrives on challenge and the hope of making a truly meaningful and positive difference in the experience of our everyday lives. Backed by the innovative research of Posit Science and a global team of over 100 world-class scientists, DynamicBrain is able to provide clinically proven brain training programs to Canadians of all ages and French-speaking people around the globe. The range of strategic partners and affiliates that may benefit from BrainHQ’s scientifically-proven brain training programs is quite broad and diverse as the applications for improved cognitive skills are virtually unlimited. 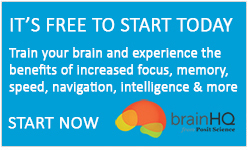 DynamicBrain makes it easy to partner with us and bring clinically validated brain training to your customers. Please contact us at: partners@dynamicbrain.ca to learn more. Clients of The Advanced Group of Hearing Clinics will soon benefit from a dedicated, onsite brain training room at their main location: 1657 Carling Avenue, Ottawa, Ontario. Daniel Gallucci is the founder of Dg2, an integrative therapy company with a unique neurologically based approach to rehabilitation and performance. In the words of Daniel Gallucci, "technology has expanded the healthcare sector’s ability to collect data, identify and diagnose disease, yet the application of effective clinical strategies has remained largely inadequate." Dg2 is revolutionizing techniques used to treat, cure, and even prevent neurological disorders. The company’s founder states: "the brain has been remarkably slow in giving up its secrets. 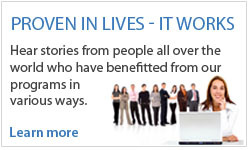 We are here to unlock those secrets and guide you on a path of personalized brain health and performance." DynamicBrain is thrilled to partner with Dg2 in providing the suite of BrainHQ cognitive training programs to Dg2 clients and to support them in fulfilling their mission to provide clinically proven brain training rehabilitative therapy to their valued clients. "We have been exclusively working with DynamicBrain to offer evidence-based BrainHQ cognitive training program to our patients and clients. Whether it’s recovering from a concussion or combatting the ‘typical’ memory loss related signs aging, DynamicBrain is always there to help us address our individual patients’ needs." As part of their diverse research projects, The Sheridan Centre for Elder Research has presented the science of our clinically-proven BrainHQ cognitive training programs to Public Libraries, Recreation Centres, Cognitive Driving Training Centres, Retirement Homes, Cancer Centres and many more. By presenting research results at conferences and public forums such as The Canadian Association on Gerontology Conference, Baycrest's Neuroscience Conference and local outreach opportunities (including the ”Neuroplasticity Across the Lifespan” public lecture and demonstration), Sheridan has shared our passion and mission for helping Canadian seniors age with dignity and grace. "We are proud to partner with DynamicBrain to raise awareness and access to BrainHQ for older Canadians, encouraging them to take control of their cognitive health in a fun, engaging and scientifically robust way."